Why do you think people buy your service? Many people believe that buying decisions are fairly logical. Your prospect adds up the cost and benefits of your service, compares it with others, and chooses the service with the better score. We like to think that a client’s decisions are conscious and deliberate. Although certainly there are rational components to many of your client’s decisions and actions, there’s another force that makes things happen. I’m going to be straightforward with you: this is a long article. That’s why I’m sharing an intriguing story with you first so that you can decide if it’s interesting enough to continue reading. Now, what truly rational people want from a credit card is utility relative to price. If they are being logical, they want to be able to use the card wherever and whenever they buy and have the option to pay their balance immediately. Truly rational people also want to pay as little as possible for those benefits. A truly rational person, in other words, chooses a Visa card. 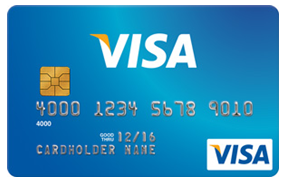 Perhaps all of earth’s rational people choose Visa cards. But that leaves approximately 25 million Americans who use American Express cards. So, what’s their magic trick? American Express emphasizes that “membership has its privileges”, and that privilege of membership is in being part of an “elite” club. An enormous “elite”- 25 million people – by the way. 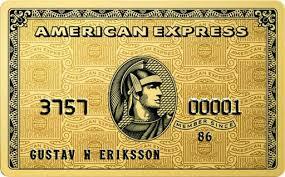 However, those American Express cardholders are prospects for your service too! And few prospects for your financial planning service can intelligently evaluate the rational features of your service and make an informed, rational choice. Your prospects feel like the jurors in a court case. Befuddled by the facts and often mistrustful of the parties offering those facts, these jurors look beyond the facts, to things like the shine of the defendant’s shoes, the niceness of the defendant’s attorney, and a dozen other seemingly irrelevant details. I’ll tell you in a minute. Let’s hear what the experts have to say first. Science tells us that researchers are constantly exposing new ways in which our subconscious mind, drives our choices, often with minimal conscious involvement. Yes, it turns out that our conscious minds are not in charge of what we do. It’s our subconscious mind that’s making most of the decisions. As it turns out, our subconscious mind is in charge of 95%(!) of our decisions. The best book on this subject is probably Predictably Irrational, Revised and Expanded Edition: The Hidden Forces That Shape Our Decisions by Dan Ariely. Ariely refutes the common assumption that we behave in fundamentally rational ways. In fact, we behave in irrational ways. And Ariely’s research shows us that we even behave predictably irrational. Another great book on this subject is written by Harvard marketing professor Gerald Zaltman in How Customers Think: Essential Insights into the Mind of the Market . It’s about the fact that 95% of our thoughts, emotions, and learning occur without our conscious awareness. Zaltman is not the only expert who thinks this way. The 95% rule is used by many neuroscientists to estimate subconscious brain activity. In The Buying Brain: Secrets for Selling to the Subconscious Mind , A.K. Pradeep, estimates it even as high as 99.99%. Despite the overwhelming evidence that rational, conscious cognitive processes are a small influence on human decision making, most financial planners naturally focus most of their messages on that narrow slice of our client’s thinking. We provide statistics, feature lists, analysis, reports and so on while ignoring the vast emotional subconscious activity which controls 95% of our client’s decision-making. Although there are conscious and rational parts in most decisions, I believe most financial planners need to focus first on appealing to their client’s right-brain and subconscious needs and wants. It’s not bad to include factual details, as they will help the client’s left-brain justify the decision. Just don’t expect them to help make the sale, feel engaged or help them trust you. It’s not bad to include factual details, as they will help the client’s left-brain justify the decision. Just don’t expect them to help hire you for your services, feel engaged or help them trust you. Do you want to know how to start, grow and market your financial planning service? We'll cover how to enhance your conversational skills, online marketing, how to get clients, emotional intelligence, and more. The classic mistake we make in appealing to our client’s subconscious mind is trying to evoke right-brain responses (action, risk, decision) by using left-brain stimuli (numbers, facts, history). This is equal to asking individuals to look into their future by using a microscope – they can’t see past their noses. To look into the future, requires a telescope. So what about those left and right brain views of the world? Please take a look at this picture and notice the differences. People are more likely to buy, and continue to buy from you, when they’ve made an emotional connection to you. And remember, clients WANT to buy from you. People don’t come to you for small talk. They aren’t at your office for no reason. As we all know Steve Jobs was a brilliant marketer. He knew that people don’t buy what you do, they buy why you do it. He knew that if he told the world what he was selling, he wouldn’t be compelling or different to any other computer company. However, what would happen if you started communicating like Apple? If you start your message, your client conversation, your marketing with Your Why? Like the archaeologist who discovers a shard and immediately begins to visualize the entire ancient pot, the brain searches for the personal significance of the ideas or suggestions it hears. If context is not established up front, your client will start questioning (internally) the relevance of your service. Asking questions is great for establishing context. Most financial planners do well in this area. They do it by talking about their client’s situation. The right side of the brain wants to know their service fits into the overall strategy. Ponder this psychological fact: laughter and stress cannot occupy the same space at the same time. Most decisions are stressful to make. Laughter diffuses stress. Humor puts matters into their proper perspective. If a good picture is worth a thousand words, then a few good pictures could save you a lot of time and talk. I don’t refer exclusively to printed images but to images in the mind as well. The pencil may be your most powerful selling tool. If you know how to use it, that is. A financial planner who knows how to integrate the drawing of images and outlining of ideas into his or her service, is like a teacher before a captive class. Because emotion precedes logic when we hear others’ ideas. As mentioned, the choices we make are based on about 95% emotion and 5% logic. All people have a very idiosyncratic set of beliefs, principles, or values that they try to follow when making financial decisions. It’s advantageous to discover what those principles or values are before you begin promoting your advice or ideas that may or may not match a client’s particular set of values. People love a good story and they love to hear it told well. When you say, “Let me tell you a story….,” the right side of the brain, as well as the left side, is at full alert. You have the complete resources of the brain focused on what is to come next. This is at the heart of the client-financial planner relationship. People seek to do business with individuals they have a good feeling about. The right side of the brain, where risk and decision are launched, is not looking at your credentials; it is observing your body language. It is not caught up in your impressive recitation of facts and figures, it is reading between the lines. The right side of the brain is putting together what it observes in your eyes, your mannerisms, your tone and demeanor and is going to render an intuitive verdict that clients will follow even without a logical reason. “I just have a feeling,” people will tell you – and they usually follow that feeling or are haunted by ignoring its ominous voice. Something I’ve experienced myself with one my best clients a couple of years ago. To sum it up it’s the emotional connection to YOU that connects them to something real and alive in themselves. What I’m saying here is that when your client feels that right kind of emotional connection to you, they actually have an experience themselves that’s different to when they walked into your office. And that’s what they really looking for. Your clients want a connection with you because it brings something real and alive in them. Do you want to know how to CONNECT with your ideal prospects for your financial plannning service? It doesn’t seem to matter what sort of decision we are making – a purchase, a career or a negotiation – we all instinctively rely on our subconscious mind for guidance. Logic and rationale, although held in the highest esteem in our society, are not the trusted linchpins of our most important decisions. In fact, we almost always (remember the 95%) seem to make decisions based on our subconscious mind and then align the necessary logic behind that feeling. But what’s actually feeding the subconscious mind? What type of fuel is driving the decision train? It’s what I call the mental triggers. These mental triggers have roots that go back thousands of years, and they are present in all of us to varying degrees. And unless there is a fundamental change in the way the human mind (which is highly unlikely), these triggers will continue to exert massive influence over our actions. Hit these triggers over and over in your service, and you can almost create a sort of hypnotic spell over your prospects. The best book by far on this subject is Influence: The Psychology of Persuasion, Revised Edition , by persuasion-professor Robert Cialdini. It’s one of the best books I’ve ever read. People tend to follow others in positions of authority. Think about doctors in their white coats. For most of us, as soon as we see that white coat walk into the examination room, a certain part of our brain becomes completely numb. We listen to what the doctor has to say and follow his advice without thinking. We probably feel at least a little intimidated to disagree with anything the person in that white coat says. This isn’t unusual. Your clients often look for people to help them guide their decisions. The authority trigger helps your clients shortcut the decision-making process. And I hear you think: how can people see me as an authority if trust in the financial industry is at an all-time low? Well, have you ever thought about how people might see YOU instead of the industry? Reciprocity is the idea that if someone gives something to us, we will feel some obligation to give them something back in return. This is a very important mental trigger and again it’s something that goes back thousands of years. In fact, reciprocity is the very basis from which humans were able to create commerce and trade. For trade to occur, there has to be some amount of trust that when – for example – we give a piece of advice to someone for free, they will complete the trade by “holding up their end” of the agreement. Building trust is the ultimate short circuit to becoming influential in your client’s life. I’m sure you can think of many times when a trusted friend, parent or teacher told you something that you believed without question because of your relationship with that person. One of the easiest ways to create trust is through time. You can probably think of a time when you had a neighbor who seemed a bit different or strange. You didn’t consider them to be a friend and probably didn’t even know them all that well. But after you lived next to them for a period of time, and after they proved themselves to be reliable and honest, you developed a sense of trust in them. Think back to when you were a child and you looked forward to some special day. Maybe it was your birthday. Maybe it was Christmas morning. Time seemed to slow down as the big, anticipated day approached. It was all you could think about. You couldn’t wait for that day. So, you might think you don’t have that anymore? Don’t let your left-brain fool you. All of us are really just big kids. We haven’t gotten over anticipation for those special days. This is something almost everyone has experienced in his life. Your clients enjoy doing business with anybody they know, like and trust. Your clients are more influenced by advisors they like than those they don’t like. So, how do you become more likable? At the risk of stating the obvious, you become more likable by doing likable things. When you’re seen being gracious, kind, generous, and honest….well, people will like you more. And the more likable you are, the more influence you will have. A community is about how people act in accordance with how they think the people in the community are supposed to act. If you reflect on your own life, I bet you can think of many communities you’re part of. These might be work communities, social communities, communities of friends, even online communities. And all those communities have norms that govern how community members are supposed to act. While communities may seem large and established and difficult to get going, that’s not always true. You can actually build your own online community. Once you get people interacting with you, with your marketing, and with each other, you’re on your way to forming a community. This is one of the most powerful triggers in existence, period. It’s simple – when there is less of something, we want it more. And, in reality, it’s the perception of scarcity that motivates your client. Why do people value diamonds more than other pretty rocks? Because they’re hard to find. It’s the same with gold, or Rolexes, or Ferraris. Understand that the vast majority of people will put off a decision if you give them a choice, especially when it comes to spending money. So, one of the key objectives you must embed in your strategy is to force people to make a decision. Is this unethical? No way. Why? Because people WANT to do business with you, remember that. So, I told you, this would be a long article. I hope it was time well spent for you. And I can assure you, this material is a real eye-opener. How do I get a client to act without feeling like they have been sold? How do I make a client understand that they have to take action and doing something now is better then never? Q1: How do we strike the golden mean between serving the clients’ interests and serving our own? Q2: Given the fact that it takes significant time to build trust, how do we keep our clients engaged for a long time? How do you position the fees, which show more than $ value to get an approval to proceed from the first appointment? What type of questions/process do you use to connect the client’s why and then link to the benefits of a FP? How do you respond when a client postpones beginning saving due to being drained in giving to adult children? What financial concerns keep you up at night? How do you know they are ready to do business with you? 1. Why wouldn’t you use a map drawn for you to arrive at your dream destination safe and sound but wander around exhausting yourself? 2. What stop you from getting help in putting your financial house in order so that you can have time and peace to do what you love now ? What tools do you use to tap into the clients emotional side – i.e. tell a story using PowerPoint, video? What are good words to use in your value presentation? Are you comfortable with the amount of taxes you will pay in retirement? What was money like for you when you were growing up? How do you feel about moving forward with a plan? How do you get a client to act that wants to first consult with a close friend or confidant. 1. If you get started now, what will your future and your family’s future potentially look low versus continuing to do what you’re already doing? 2. How will you feel 20 years from now if you look back and realise you should have taken action? Dear Ronald, thank you for sharing your knowledge about the must haves in selling financial services. In my point of view the logic part should be the last one, after the first seconds the client decides to trust you to buy or not. I do it as well. The last question is a logical one, because everyone likes to find some arguments to agree to with his ratio and may be to justify his decisions later. 1. If you acted on my advice today, what would gain for yourself and loved ones as apposed to what you would lose if you didn’t? 2. Have you ever experienced the consequinces of missing out or the benefits of taking advantage of a window of opportunity in any aspect of your life before? Is today what you were expecting? Is there any reason you don’t think we can move forward to the next steps? Can you predict the future? Would you want to be prepared for it? How do you continue to teach an old dog new tricks? How do you demonstrate that price is what you pay and value is what you get? How to trigger value of planning? How to turn the focus of costs to benefits? How to show people who think they are financially secure that they need my service. How to show them that it is an ongoing service and not a one off. How to respond with right brain answers when dealing with people who have focused on left brain data led reviews previously? How to get clients to act right now. How to get the true answer as to why a client may not wish to act on my advice now. First, I describe the consequences of not acting using a left brain analytical approach. 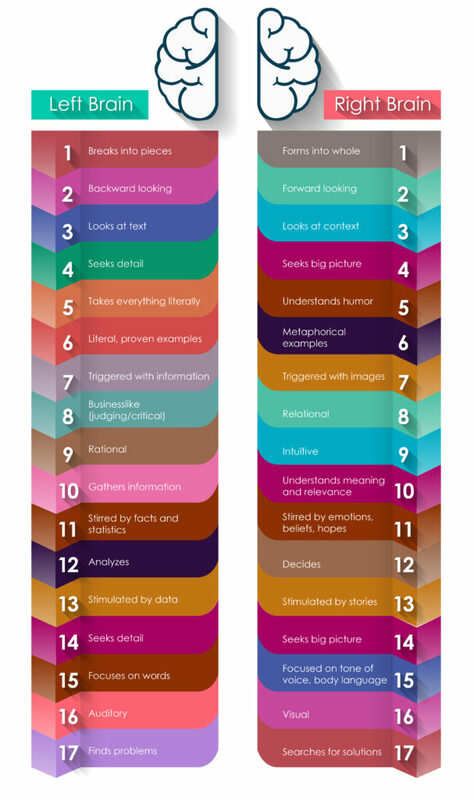 Then try an emotionally connected link to the client’s Why… a bit of a one-two punch. How do I encourage my clients to open up and share their feelings (of hesitation or delight) so that I can best address their emotions and potentially deal with any objections, or concerns. How do I tactfully address the fact that despite their knowing and trusting their existing Advisor, I feel I am better qualified to assist the client. How to give right brain answers to when being questioned along left brain lines? So, what’s the value to you of the work that we’ve done so far in putting together your Financial Road Map(R)? How do get referrals from your clients? How do you stay on top of their mind? How do you articulate the value you provide to clients will be worth more than your financial planning fee ? How do you justify your ongoing fees to clients after they have been with you for several years? Move the client from cost to value? 1. How do you get clients from focusing on pricing and fees to one based on value of service? 2. How do you get clients to focus away from short term performance and short term news cycles? Are there any suggestions for getting information to the client or prospect before talking to them that would start them with left brain thinking? It still is the same as if i would say:\”… I can help you reach your financial goal.\” Which nowadays distracting to clients. So how to tell the story, how to tell why? How to create urgency without being pushy. Assuming someone has expressed interest in moving forward but \”not right now\”, how often do you continue to follow up with that client? Is there a good way to determine if they are just saying that to delay having to make a decision or if they truly do want to move forward but the timing isn\’t ideal for whatever reason. Your upfront system – e.g obtain goals meeting, give price meeting, gather data meeting. When do you ask them to act? How to sell the ongoing service? Great article. I\’ll read it a few more times. What if you are only given thirty minutes on the phone? What is the best way to spend that time? What is the best way to focus on the left side of a client\’s brain? 1. How to get a client to IMMEDIATELY recognise that I am different and offer more than the traditional Financial Advisor? 2. How to prove the value of ongoing planning fees. How do you maintain their emotional buy in once they walk out the door from your Discovery Meeting and not allow their right brain time to take over decision making? Not in a manipulative way but to ensure that they take the steps you know and have determined they should be taking. How do you prevent compliance burden from undoing the good work you have done? I find it difficult to go from a high level emotive discussion to a disengaging form filling process. How to create a sense of urgency to act now? If this makes sense, and we believe it will achieve what you\’re looking for, when do you want to make it happen? How can we make sure the client is comfortable in the decision \’we\’ come to agree on, with no second thoughts? How do you help clients emotionally detatch and sell from a poor investment they made when they believe \”it will come back\”? How do you help clients emotionally detatch from concentrated stock positions accumulated from employment? ISO, PSG, RSU, ESPP ownership is tricky because they either have drank the kool-aid and believe their company can do no wrong or they have extra emotions attached to the acquisition of their shares because they got it as a reward for their own performance. I find a big difference in women and men. Men want THE answer and women want to choose from two or more options. How do you get a couple to agree? advisors tell us the riskprofiling system of FinaMetrica helps – especially – couples making better decisions. How do you align your pricing so that clients who need to say yes, will, and the work will still be worthwhile. e.g., a prospect making $500k/yr and spending it all can greatly benefit from planning, but often can\’t wrap his/her mind around paying a $10,000/yr retainer for help with huge life changes. Often, the ego also gets in the way of actually following the advice even if they pay for it. What type of humor would you use to diffuse a stressful conversation about investments? Please give a specific example of a joke or comment that you have used, that has actually worked. How do you overcome a prospect who is clearly interested in your service, but who is also obviously stalling to make a decision? How do you make your service a priority to them? 1.) What questions could we ask clients to lead them to act? 2.) How should we overcome clients\’ indecision? How do you get clients to open up about their real Why? What questions do you use to drive clients to act? how do you make your Why Different? WHat is the barrier that needs to be removed or jumped to get to the plan? – how can i yuse my rigth side of my brain instead of my left side? – how can i peersuade clients to take a longtermcontract instead of incidental? What is the best questions to move clients think about their why? Whats is your strategy whith clients that are strong rational ? How do you deal with prospects who have a laser focus on investments to value comprehensive planning. How do you motivate people to address high impact – low probability events like incapacity when their overconfidence tells they can delay decisions on these matters. How do you determine what personality type the client is so you can better relate to the way they think? How do I best demonstrate \”why\” I do what I do so that it is so compelling they decide immediately to work with me? How do you teach yourself to use the right side of your brain when you are a very \”left hand side of the brain\”/analytical person? 1. How to get them acting for savings (on for example investments) to achieve in the future, where they have to pay for (for advice, changing etc.) in the here and now. I would let them experience the plan by inviting them to the next planningmeetingband give a money back guarantee so that they would not decline. How do I get my client to see that the numbers are really just educated guesses, and the concept is what counts? How do I get at their real priorities? How do you have the client open up enough about their needs for you to convince them you can help. How can you differentiate your ongoing fee from everyone else. How can I make the client feel confident enough to take the decision? How can I help the client avoid regret just after taking the decision? How do you make all the compliance stuff edible when you are concentrating on the right side of the brain? I love engaging a client emotionally but the compliance stuff, which obviously needs doing, can feel like it\’s in the way. When people are not sure of an investment game plan I invite them to put just a small amount in to the proposal to start. After a few months we review it and continue the rest of the conversation. I have some marvelous software that takes a clients actual portfolio and makes it into a personal story that allows them to see the results good and bad as the markets go forward. If you can tell them their story and perhaps how to improve it going forward you will have a client for life. It is all about value of your services and personal interaction with the client. How do you get clients to save for retirement when they feel the amount needed is unobtainable and so they bury their heads in the sand. 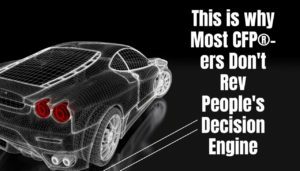 Simplistic answer but it works, \” Mr Client, I realise you feel the figures are too far away to even try to get to, but, when you retire how do you want to travel to family, friends, the shops, in a car with you behind the wheel or in a bus? That the difference planning can make, OAP or retired gentle person, the choice is yours\” might seem corny but it works most times for me. How do you find out your clients why? How do you get your clients to realize that you can help them with their why? Great thought provoking article as always Ronald! 1. How do you know when your client is emotionally ready to buy from you? 2. How do you position your fees without losing your client\’s emotional committment? In the fact find , asking about life assurance etc and the prospect says \”I`m covered for all that kind of thing\”. How to overcome the \”escape committee\” , being persuaded by others that it is not a good idea. Excellent article Ronald! Thank you. When the client says \”yes, we should do it but it\’s not a priority right now – we\’re just too busy\” and \”it\’s a long time away to think about and such a long term commitment to pay into\” and \”my husband decided I don\’t need it\”. How do you get a prospect past the \”I need to think about it\” stage? How do I respond respectfully without losing the pushing the client away by being to pushy for them to make a decision and act now. How to eliminate buyer\’s remorse? That\’s a very good point. I have no control over how Home Office handles the client\’s account. I am genuine in helping my clients. I want them to know they made a good move doing business with me. But Home Office sometimes hinders my promises. If you don\’t do it how will you feel? 1. How to promote yourself so prospects think from right brain and feel urgency to contact you to improve their finances? 2. How to eliminate \’buyers\’ remorse\’?